Over 3 decades and thousands of pool liners replaced in North Ga. 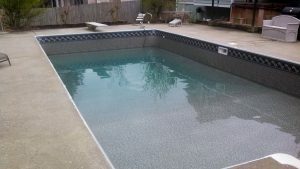 Looking for an expert swimming pool repair and renovation company in Suwanee GA? You’re in the right place! At Paradise Pool Services, LLC we have a long track record of providing top of the line pool services in Suwanee for over 3 decades. We’ve replaced thousands of pool liners in Metro Atlanta and North Georgia, many of these were for our Suwanee swimming pool customers. 30 years as a swimming pool renovation expert has allowed us to build strong relationships with our suppliers and manufacturers. We get the best prices for the best quality products and then pass that quality and savings on to our customers.